Bitcoin is one of the main subjects of March 2018, but not in a positive way. Even John Oliver decided to discuss Bitcoin in its show, which confirms the high level of interest for the most popular cryptocurrency. The main issue that puts Bitcoin in the center of attention is the dip which started two weeks ago. We’ve mentioned several times in our weekly analysis the 11,500 as a key resistance area. We were right about and after the price reached it two weeks ago, Bitcoin had been heavily under pressure. At the time of writing, the price on Bitcoin on the Coinbase exchange is located at 7,910 which means the drop extended from 20%, as we have written about it a week ago, to 30%. There had been many negative news for Bitcoin, with two of the most important being the SEC Probe and news from Google, which is assumed to ban all advertisement related to cryptocurrencies, ICOs, exchange platforms etc. That is a huge blow for cryptocurrency investors since digital assets cannot be advertised anymore on the most popular search engine. Judging by the current price structure, the move on the downside is expected to extend lower in the near term. Current yearly low, located around 6,000 don’t look too far, considering how impulsively the sellers are currently driving the price lower. The Bitcoin bubble had definitely burst and the consequences can be seen now. All negative events act like a chain reaction and now miners are the ones hurt. At the current price level and difficulty of the system, mining Bitcoin is not profitable at all. Miners can barely cover the cost of electricity, which also contributes to the diminishing demand for Bitcoin. Other cryptocurrencies could benefit from the downward path we see in the case of Bitcoin. 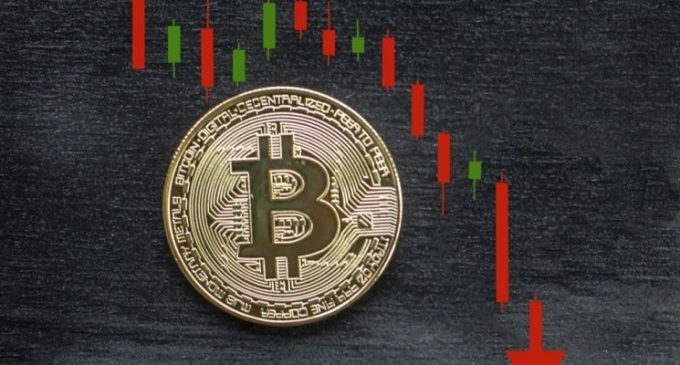 However, the results will most likely be seen in the future as currently, all major cryptocurrencies are heavily under pressure, with little prospects for a strong rebound in the following days. We look forward to seeing how the market will behave in the following days.